Can you help me identify the (jazz) clarinetist in this photo? An acquaintance of mine is sorting through a jazz collection and prepping it for a museum/archive of some type. Amongst the collection were 30-40 unlabeled photos of various jazz musicians (mostly New Orleanians). Many of the photos have since been identified, but this one has yet to be determined. It appears that the musician is playing on one of the Buffet Perspex transparent clarinets (just guessing). Re: Can you help me identify the (jazz) clarinetist in this photo? Looks an awful lot like Alvin Batiste. 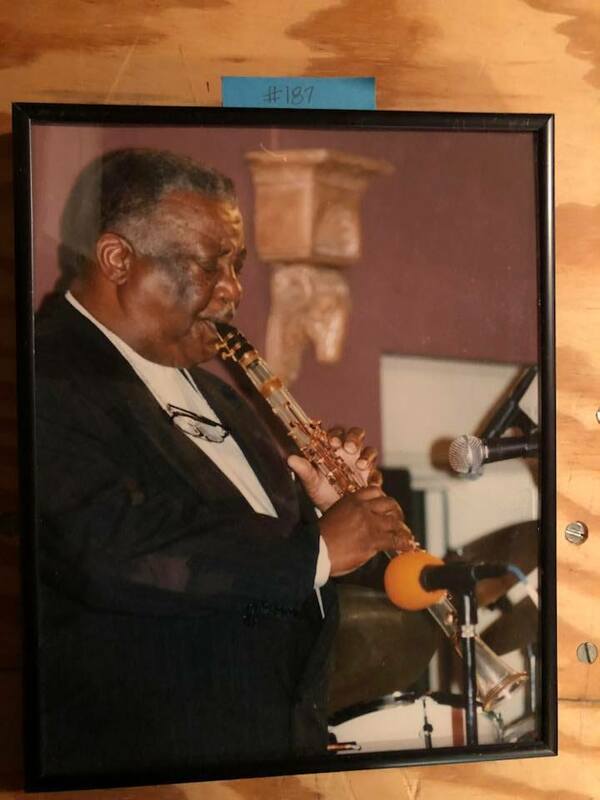 Influenced by Ed and Herb Hall, Batiste started on the Albert System clarinet and later switched to Boehm. Cannonball Adderly once asked Alvin how he could manage to play so many different styles of music, and he replied that that's what you had to do in New Orleans. Batiste studied classical clarinet with Olando Tognozzi, an Opperman protege, played in an Army band, toured with Ray Charles, Freddie Hubbard, and Ron Carter, was friends with Ed Blackwell (Coltrane's drummer) and Ornette Coleman, and was directly influenced by Charlie Parker (whom he met on Parker's one and probably only engagement in New Orleans) and Sonny Stitt. Batiste developed his own bop and post-bop clarinet style, fully conscious of the New Orleans jazz tradition (he transcribed 21 of the Armstrong Hot Five and Hot Seven recordings). He could switch seamlessly from playing High Society to Coleman's "Lonely Woman," covering the history of jazz and not copying any other jazz clarinetist. He could play with a high energy rock group and fit right in or just as well accompany a church choir or appear in one of Wynton's groups. He played the Mozart Concerto too and it was all music to his ears. I can't say 100% that this is Batiste, but the player closely resembles him. The transparent Buffet threw me off. Don't ever recall Batiste playing one. My first guess is Russell Procope. Comparing to other photos - I think you're right! I've submitted Alvin's name to the archive, with a question mark. There are quite a few New Orleans musicians looking through the collection too, and maybe your suggestion will spark their recognition/memory. I'll look up some of his music and listen again today. Thanks for adding excitement to these little endeavors of mine! Please let us know who is really is if it turns out to not be Batiste. As players age, many gain weight and don't look all that much the way they used to. A few like Benny Goodman and Stanley Drucker (to say nothing of Louis Armstrong) keep an instantly recognizable look but consider for example how much Artie Shaw's looks changed (even though he didn't continue playing the clarinet). I just looked at Amazon for the Batiste record, "Songs, Words, Messages, and Connections," and the face shown in the color photo on that album cover is a pretty close match to the photo you're trying to id. So I'd say better than 85% it's Batiste. That's a very distinct looking clarinet, at any rate. Glass? Not glass! This is a limited edition clear plastic model B12 Buffet made some years ago. Klezmer artist Giora Feidman, among others, owned one. They turn up on web auction sites from time to time. Jazz clarinetist Kaliq Woods Kaliceo plays one. He has several videos on YouTube. That could even be him in the photo but I think it's Batiste. He's transparent from top to bottom, including his mouthpiece! Some of these clear Perspex B12s were even stamped as E11, even though the E11 was the wooden version of the B12.